Here’s a list of makerspace projects by subject that have been done at the LU makerpace. The makerspace is open to Lawrence University students, faculty, and staff from all disciplines and departments. Since the opening of the space, it has been used by students from a wide range of courses. Have an idea? Contact us! Anthropology Semiotics: 3D Print an object and analyze it from a semiotic perspective using theories and concepts introduced in the class. Discuss the metonymic associations it generates. One group’s example on Twitter. Also, create an escape room and discuss the signs associated with clues. Anthropology of South Asia: View the video I am Rohingya with Google Cardboard VR viewers to learn about life in a refugee camp. Botany & ecology: Designing replicas of flower buds to trick invasive insects. Chemistry Biochemistry: Use of 3D printed proteins and viruses, including hemoglobin and deoxyhemoglobin models, to learn about their structures, many created by Professor Dave Hall. Class printed the SpecPhone, a 3D printed spectrometer (design created by Professor Adam W. Smith of the University of Akron), created or modified 3D patterns and printed them on the 3D printers, and will design their own instruments and instrument housing. Replicate a project using 3D printing from the Journal of Chemical Education, or a chemistry-related object from NIH 3D print exchange, or a general repository such as Thingiverse. Instrumental Analysis assignment handout and worksheet by Professor Donohoue. Virology: 3D print an anatomical model of a bee to demonstrate wing defects caused by a virus. 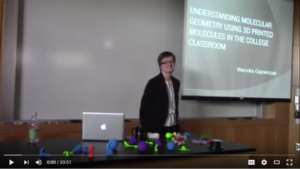 Makerspace blog posts tagged with chemistry. Computer Science Senior Capstone & Honors Project: EEG headset to measure brainwaves, featured on the Lawrence Minute . Computer Science makerspace blog posts. History Cross-Cultural Interactions Along the Silk Road: Printed examples of astrolabes for the unit on navigation. Innovation and Entrepreneurship Innovation: Create an innovative object that has use in your life. One example is this Band Aid dispenser, designed in Tinkercad. Music Pedagogy / Conservatory Cello studio: Custom cello bow hand support made with FlexPLA and designed in Tinkercad. Studio Art Junior Studio Art Practicum: Student exhibit involved 3d modeling and 3d printing as a way of showing off the models in real space and making a comment on how people interact with technology. The objects were also combined with computer interactivity. New Media in Art: Student made word art on the Silhouette Cameo and designed and printed letters on the 3D printers. 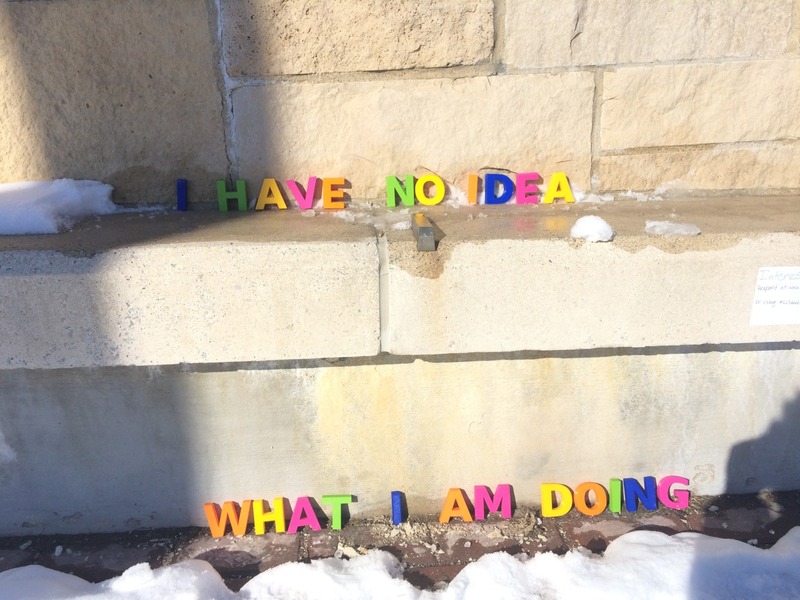 Her art was then placed around campus. She documented the art on her Tumblr page, LU Word Art. Painting: Student used the electronic cutter to create a stencil for his spray paint art project. Photography: For the course gallery exhibit, the students created the exhibit sign with the electronic cutter. Senior Studio Art Exhibit: Noah Gunther’s installation, Mystery Ocean, integrated 3D printed models along with a 3D environment he created that could be viewed with a VR headset. Tutorial in 3D Printing: Students designed and printed objects and made pages on this website. University Courses Public Speaking Practicum: Informative presentation on the makerspace and 3D printing. More assignments will be added as they come in!